Chuck is an extraordinary operations leader with a passion for the aerospace business. Chuck's leadership in our MRO enabled M7 to successfully complete over 50 ATR Passenger to Freight conversions while simultaneous implementing significant cost improvements and design enhancements. The work on these aircraft was completed under rigorous time constraints placed on us by our customers. Not one aircraft was delivered late and they all had over and above workscope additions that could have hindered our performance. The program was successful and did not distract Chuck from taking care of our other Commercial and Military customers at the same time. I'm writing on behalf of Mr. Charles (Chuck) Gumbert who was Vice President - MRO for M7 Aerospace. Chuck had full P&L responsibility for the San Antonio, TX and Springfield, MO, MRO business segments. His responsibilities included management of the FedEx ATR program, C26 maintenance, commercial Merlin/Metro work, and the Springfield Merlin/Metro, EMB120, SAAB340 and charter business. Mr. Gumbert was instrumental in starting/growing the ATR P-F line in 2004 and delivered 40+ aircraft on schedule with an impressive record of growth and quality for the program. Chuck's leadership and business savvy are superb. His passion for excellence lead to the development of several high performing teams and ISO/AS certified processes and procedures which have stood the test of time. His customer service skills are well developed and his background in project/program management, financial analytics, process improvement and enterprise growth are assets that any entity would benefit from. I would be happy to provide additional examples of Mr. Gumbert's capabilities and accomplishments upon request. On behalf of Bob Jones and myself, please accept this letter of recommendation as a token of our appreciation for all your hard work and success in positioning our company to prosper. Specifically, we were very impressed with your ability to organize and lead the organization to focus on accomplishing specific goals. The improved throughput, quality and the amount of finished product that was positioned for sale was quite impressive. 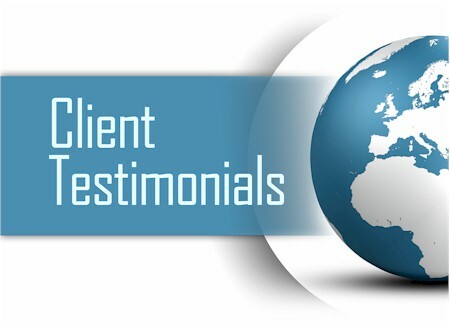 Further, the communication and working relationship was greatly improved both professionally and personally. When we did have to pass through troubled waters; your integrity and solutions-oriented approach provided leadership of the highest caliber. Chuck Gumbert exhibits all the characteristcs required of a leader, I respected working for the man. He is very knowledgeable in the aerospace industry. I've known Chuck for 25 years. Early in our careers we worked together and helped establish the premier engine service company in the industry. Most recently I had the good fortune to work for him in component manufacturing company. He is a detail oriented manager with strong focus on the efficiencies and performance of the business but at the same time supports his managers in achieving the long term, strategic goals of the company. Chuck and I worked together during which time I was the VP & GM of the engine operations and Chuck managed our new independent blade and vane shop for GE in McAllen, Texas. I found Chuck to be a very focused and capable leader who always put his customers first and worked very closely with his people to instill in them a commitment to customer satisfaction. A very hard worker/leader and dedicated employee who understood what the company objectives were, always had a plan on how to meet them and worked closely with administration, finance and planning to insure he had a good handle on the companies financial performance. Chuck Gumbert was instrumental in the successful CPI-Malibu Production Readiness Review (PRR) with Lockheed Martin and the US government, in advance of the Longbow TCDL Antenna full rate production (FRP). Over the last year, Chuck Gumbert helped make huge strides at CPI-Malibu in the areas of lean manufacturing, process flow, and improved efficiency. Just because you have been one of the mentors in my career, I wanted to share with you that I receive my Masters in Organizational Leadership in May. I’m on my last two classes. Thanks for all the good advice you’ve given me over the years. I’ve always looked up to you and often find myself saying, Chuck was right. Chuck is a dynamic leader who makes things happen and holds people accountable along the way. Chuck is very good at grasping the issues, turning around a problem and not afraid to make changes. Chuck is a true leader that can bring high profits and turn around expertise to any company. I would highly recommend him for any organization that would like to have a strong leader to bring about changes that benefit the bottom line of profitability. In addition he is very personable and upholds the highest integrity. Chuck utilizes resources to reach internal and external goals at a world class level. Chuck displays leadership that motivates organizations to continually improve and challenge the status quo. Chuck Gumbert from The Tomcat Group was initially brought in as our interim Director of Operations and was later transitioned to the company’s interim President. As the Director of Operations, Mr. Gumbert was instrumental in development and successful implementation of two new production lines for recently awarded antenna systems contracts from two major government suppliers. The concepts and methodologies used by Mr. Gumbert in the introduction of these lines allowed for a smooth and successful transition through the prototype and LRIP phases, right on into production. As the interim President, his leadership, business acumen and customer rapport proved very beneficial as he led the organization through several customer engineering and contractual related issues. In that time, Mr. Gumbert also worked with the leadership team in the development of the 2012 Strategic Plan while upgrading key talent within the organization to ensure a successful execution. While working with Mr. Gumbert, I found him to be an exceptional leader with a high degree of integrity and the ability to successfully move an organization forward. In the future, if I need someone with background and expertise, I wouldn’t hesitate to call him. Any business owner can identify with the term covering you back. It is comforting to know that there is someone that you can call when you have all those questions regarding profitability, cash flow, marketing, promotion of your business and all the employee issues we encounter. I turned to Chuck Gumbert of The Tomcat Group. Spending just one hour helped me realize that he was the guy to give me, my employees and my business the direction and the focus we needed to fulfill our mission statement and dreams for BlackTop Nationals. Chuck will identify issues; the good and those that need direction, implement a plan and give perfect focus for all involved! His business sense and planning are invaluable to me and will be for yours! I can’t think of any business, profitable or struggling to become profitable, that couldn’t benefit from Chuck’s expertise. He will bring a fresh new focus for you, your employees and everyone involved with your business. It is good to have someone else analyze your business and help you prepare a plan, direction, motivation and perspective. I now have a road map and I am confident for the future. It is comforting to know that BlackTop Nationals is now fulfilling its mission statement. I’m glad I called Chuck and to know he’s is covering my back.